Manufactured from Siegrist OSDW (4:1), SDWM 4:1 Cable Markers are flexible markers with an extreme shrink ratio, enabling one size to cover many different diameters. It shouldprovide effective moisture resistant insulation of connectors, components and splices. SDWM 4:1 Cable Markers are usually shrink fitted using a heatgun, oven or shrink tunnel. 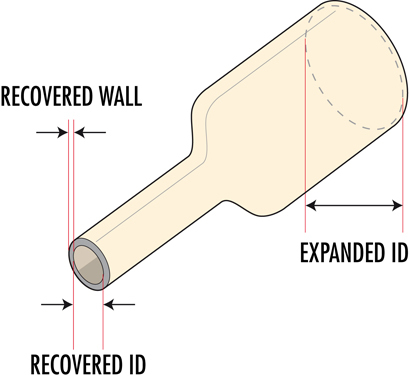 If possible, select an 'Expanded I/D' large enough to achieve a good degree of recovery when shrunk. 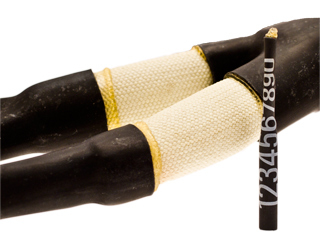 SDWM 4:1 Cable Markers provides effective moisture resistant insulation of connectors, components and splices.